Not forgetting his dancehall roots, Buju let go some waist-moving hits like Championand Too Bad. But he didn’t do it all alone. He was joined for a moment by Stefflondon; Marcia Griffits, whom he said was like a mother to him; his longtime collab partner Beres Hammond – the two were as in sync as always; and his pal Wayne Wonder. He ended the show in the same vein in which it started, collabrating with Gramps Morgan forPsalm 23. Thousands of Jamaicans from home and abroad flooded into the National Stadium in Kingston for Buju Banton’s Long Walk to Freedom concert, some arriving as early as 2 p.m.
Kevin McGregor and his wife, Curreina, from Tampa, booked the flight for their family as soon as the concert date was announced. Just as they made it through the stadium gates to Statue Road, they paused for a photo to document the moment they have been waiting for. “When his release was imminent, I knew I had to come here,” Kevin told The Gleaner. “We got our tickets the day after they went on sale,” added Curreina, who had her 10-year-old son by her side. He organised the trip with his cousins who were all fully dressed in Reggae merchandise, from Bob Marley to Buju Banton to Peter Tosh. Amanda, from Indianapolis, was all smiles as she waited for the bleachers’ gate to open. Though Klaleh, from Las Vegas, had some difficulty getting in, she was very upbeat. “This is Buju Banton. There should never be anything negative to say about this moment right here, right now. I don’t mind the long lines or the wait, not for him. Anyone who’s mad about the wait or anything, it is because they have never been to an event of this magnitude in a third world country. When you go to an event of this magnitude, this is nothing,” she said. 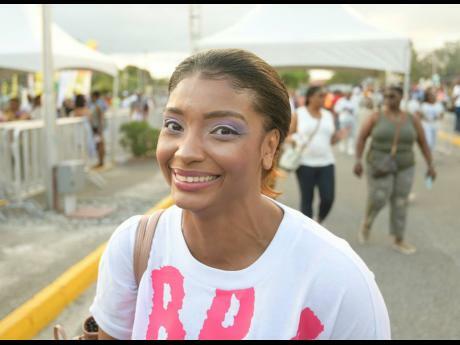 Keneisha ‘Nancy’ Williamson, says she is Buju Baton’s biggest fan. Her love for the Gargamel runs so deep that she took a day off from work in January when tickets for the first show in Banton’s Long Walk to Freedom tour went on sale. Knowing how difficult online purchases can be, Williamson said she sat in front of her computer all day until she was able to purchase her tickets. 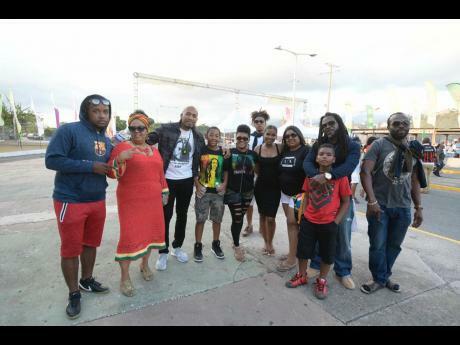 Kenisha ‘Nancy’ Williamson from Miami Florida sacrificed her VIP tickets to take her entire family to the concert. 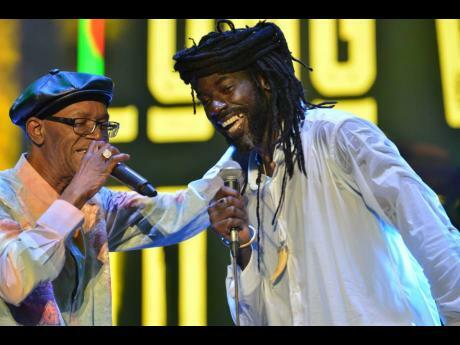 Williamson says she is Buju Banton’s number one fan. Williamson, who was born in Jamaica, migrated to the United States as a child, and now lives in Bronx, New York. She arrived in the island Friday night. 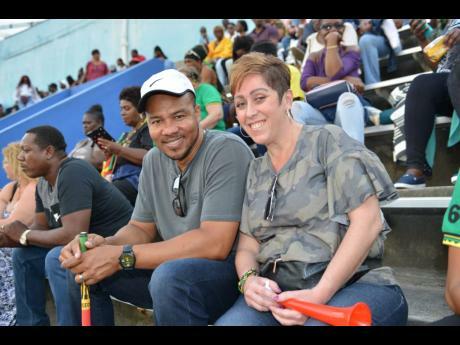 Williamson told The Gleaner that she sacrificed being in the VIP section of the stadium so that she could share the moment with her entire family. She brought her sister, her cousin, her husband, her brother and her teenage son.